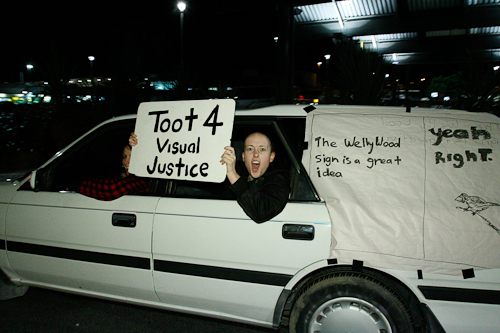 Yesterday I photographed the protests at Wellington airport over the proposed “Hollywood” style sign for Wellington: Wellywood. 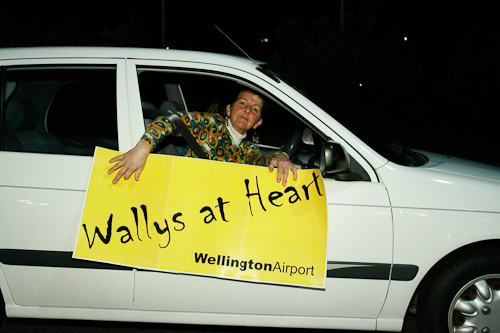 A supposedly tounge-in-cheek development proposed by Wellington Airport to help promote the New Zealand film industry, and Wellington as a tourist destination. 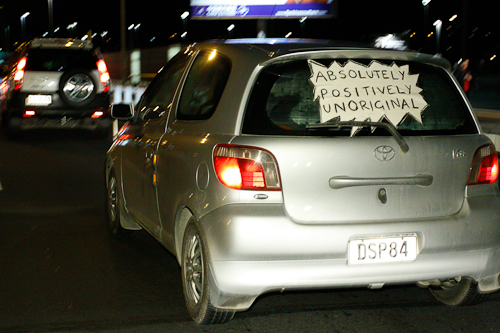 However, many Wellington residents are opposed to the scheme, stating that it is tacky and unoriginal, and does not reflect the creativity or values of Kiwis in the industry or residents in Wellington. With comments on social media sites threatening to graffitti or destroy the sign once it is erected, and companies such as Moa Brewery offering 15 cases of beer for the first person to destroy the sign, the coming weeks should offer some interesting photographic perspectives. This was a good practice run for doing live news events (somewhat a rarity in Wellington) and I managed to email the images to the Dominion Post an hour after the protest finished. Sadly they didn’t use the pics as they had their own photographer there! 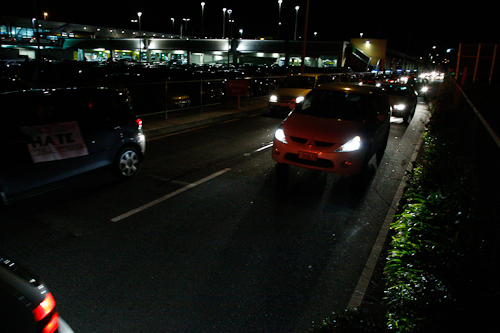 Vehicles que at Wellington airport as protesters against the Wellywood sign form a rolling road block around the airport departure terminal. 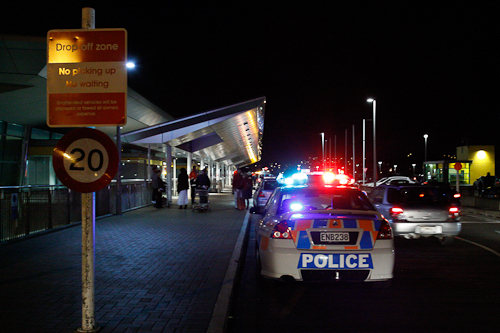 Police prepare to direct traffic on the departure/drop-off point at Wellington airport in preparation of the protest against the Wellywood sign. 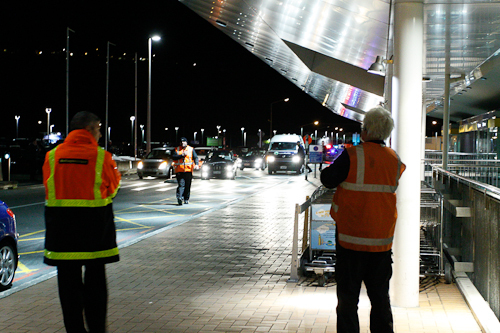 Airport officials prepare to direct traffic on the departure/drop-off point at Wellington airport in preparation of the protest against the Wellywood sign. 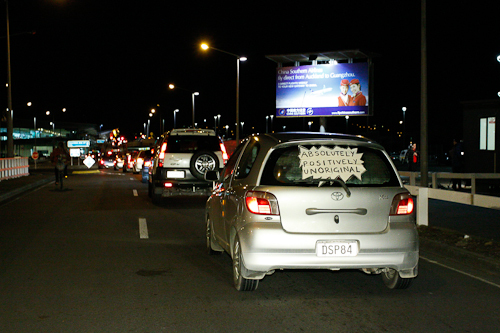 Protesters air their views about the proposed Wellywood sign as they circle the departure/drop-off point in a rolling roadblock at Wellington airport. 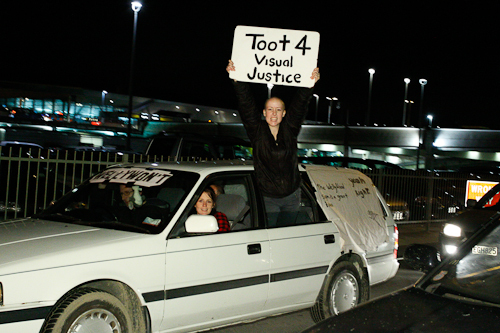 Protesters air their views about the Wellywood sign as they circle the departure/drop-off point in a rolling roadblock at Wellington airport. 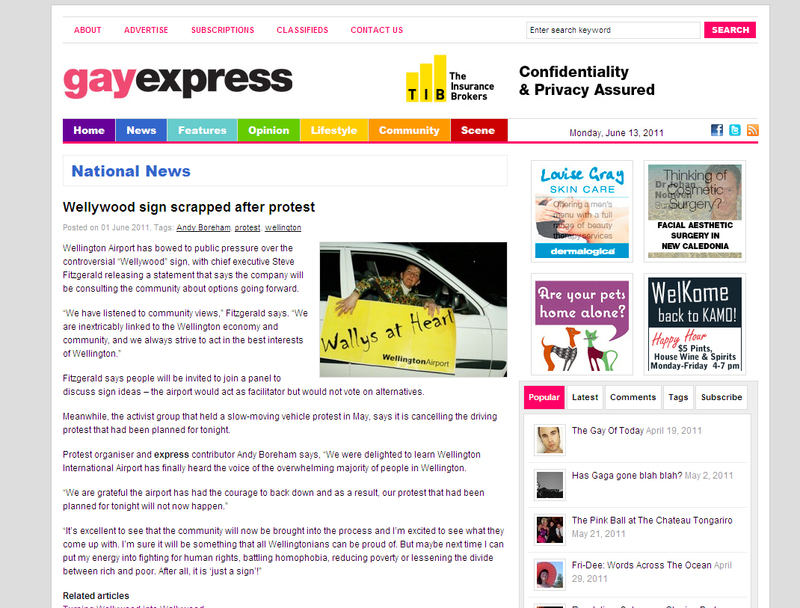 Online edition of the magazine Gay Express. 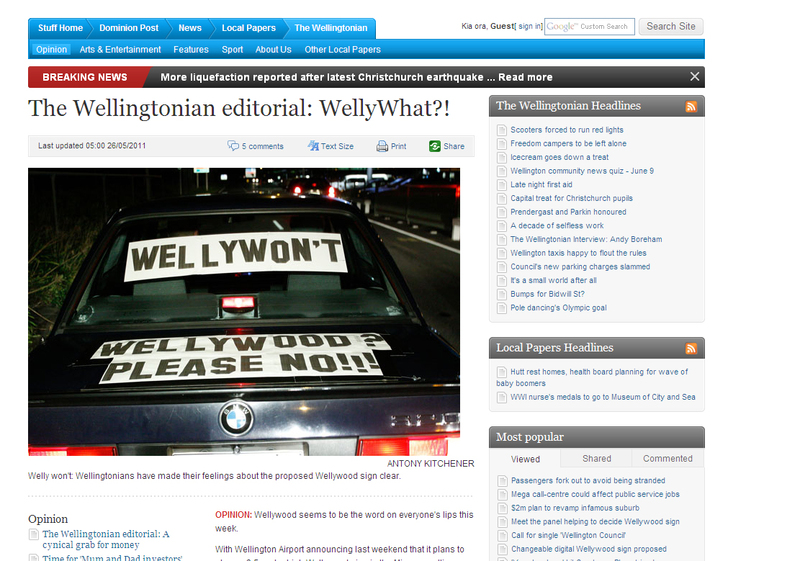 Online edition of The Wellingtonian newspaper.